Financial Links Iraq Duty Free (IDF) In 2004 Financial Links entered into a contract with Iraqi Civil Aviation Authority (ICAA) that is under the Iraqi Ministry of Transportation to operate all Duty Free shops and stores in all Iraqi Airports and other places owned or managed by Iraqi Civil Aviation Authority (ICAA). This contract was renewed in 2018 for a period of time ending in 2029. Financial Links Retail & Distribution business (R&D) After a successful 14 years’ operating in the duty free business and with the developments of shopping centers and malls in Iraq, Financial Links decided to expand its retail business into the domestic market exclusively retailing many well-known international brands concentrating in the apparel and footwear business. Financial Links (FL) is an Iraqi registered company that is an experienced retailer with over 20 years of experience in Iraq. 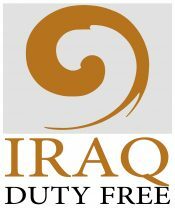 Financial Links operates in both the duty free as Iraq Duty Free (IDF) and in the Iraqi domestic retail & distribution business (R&D).